My snow day craft project is finally done, and the snow is melting. Which is convenient, because I needed somewhere to put the canvas while I waited for the acrylic sealer to dry/air out, and I certainly couldn’t use a snow-covered patio! 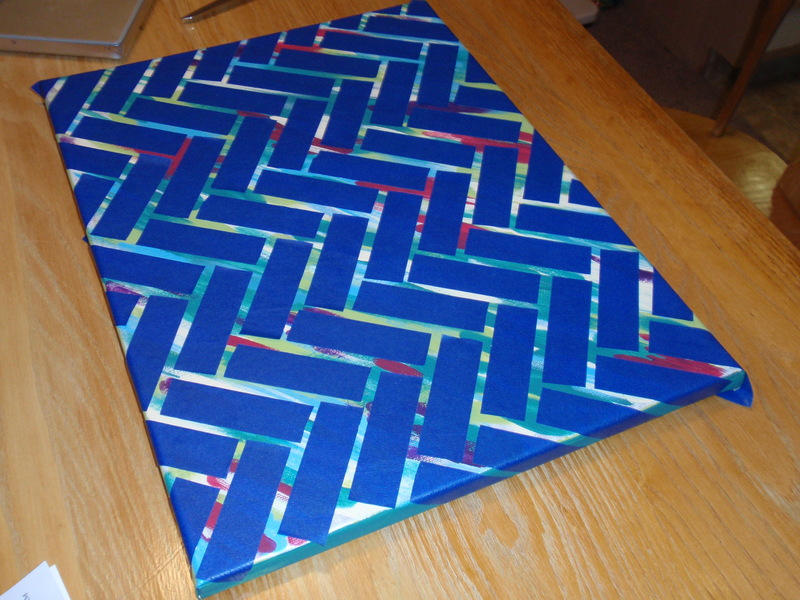 My inspiration was this (much better) two canvas piece from Kelly Hicks Design. For some reason, my paint always bleeds underneath the painter’s tape. In this project, it’s probably because I was supposed to use spray paint, and I used regular acrylic paint. I hung it up in the kitchen, but I’m not sure I love it. I like the idea of it, but the messiness of where the paint bled under the tape, and some cracks that happened when I peeled the tape off are bugging me. 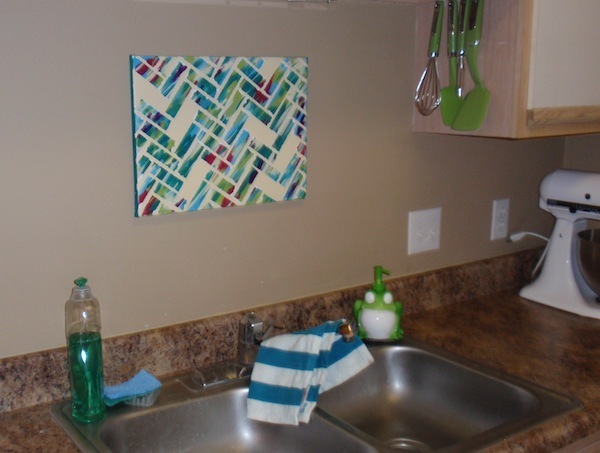 I like having something above the sink, though, so I may make something else. Stay tuned! I’ve said before that I’m not much of an artist. But I enjoy artistic activities. 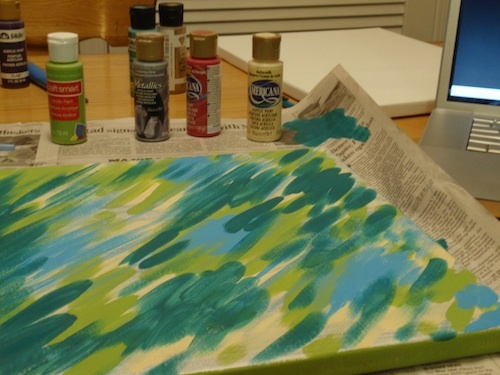 So when my bestie planned a visit from Colorado, I suggested a painting activity. There are a few places in town here where you can go to a sort of guided painting session where everyone paints a specific picture inspired by a famous piece of art (Van Gogh’s Starry Night or Georgia O’ Keefe or something). The instructor gives you some tips on painting technique, you pick out your colors, and you get painting. To spice things up, adult beverages are available! 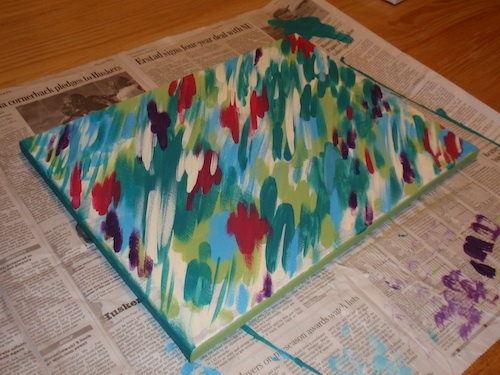 We went to “Mimosas and Monet.” The painting for that session was a Claude Monet inspired painting of irises. It was really fun! The instructor talked a little bit about impressionism, gave us some tips, and then turned us loose. And, our first mimosas were free! 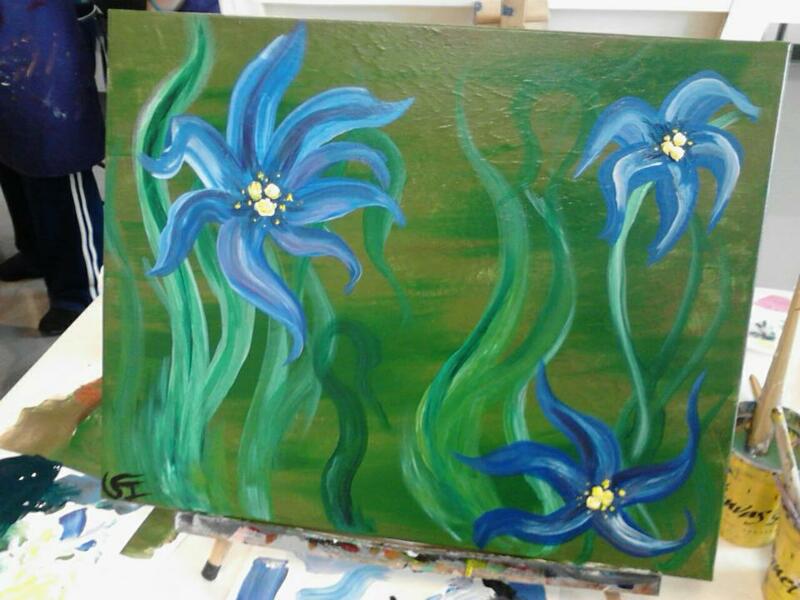 I’m definitely not going to be winning any awards for my painting (those do not look like irises! ), but I’m really glad we went. It reminded me how much I enjoy painting and making art for my apartment. 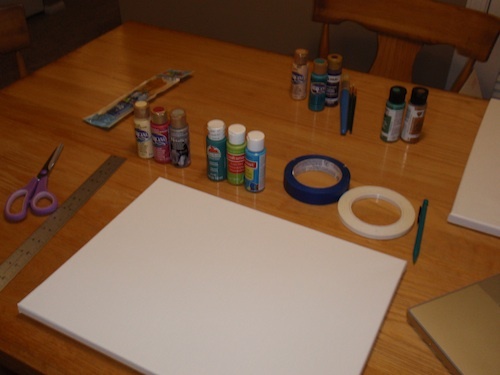 So now I’m scouring Pinterest for other diy art projects. My kitchen needs something.